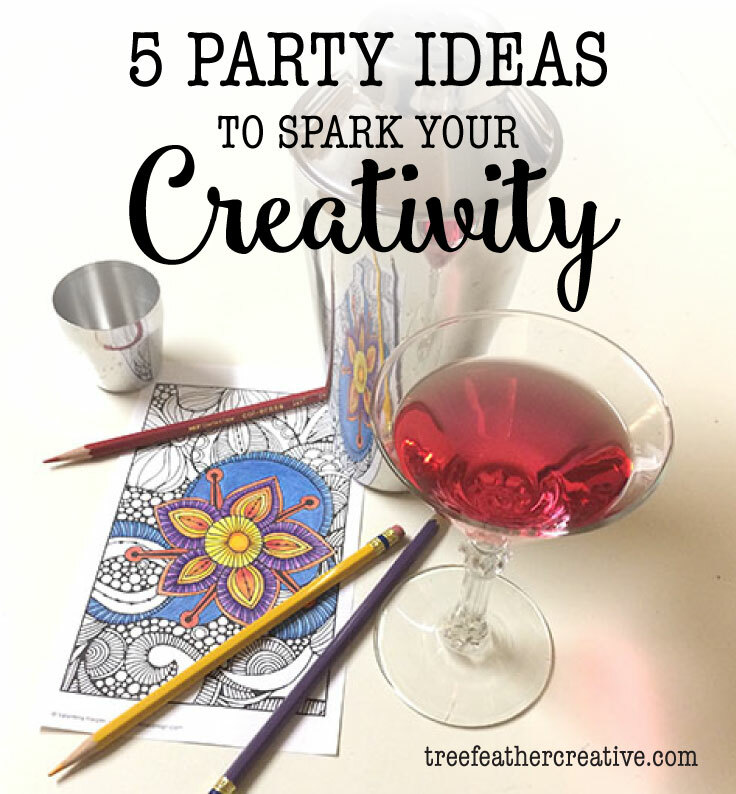 Everyone can use a little creativity in their day, and what better way to get those creative juices flowing than getting together with friends and pairing an easy project with delicious drinks? I’ve put together some fun pairings with resources and inspiration to make your party planning a breeze. Create your own custom Sharpie mugs and make a big batch of sangria or get a couple bottles of your favorite wine. If you haven’t colored since you were a kid you should really give it another try – it is super relaxing. You can find lots of coloring books for adults at your local book store/online or print out free coloring pages for everyone. Have everyone bring their own Lego kit, buy a larger kit for everyone to build together or just get creative with a pile of Legos. You can even have everyone make their own Lego minifig. Throw a brunch party with a coffee bar and cover the table with magazines to cut up. Make a vision board, scrapbook, or piece of art. Host a colorful Indian inspired brunch or afternoon tea party – Whip up some chai tea and have everyone create their own henna tattoo.